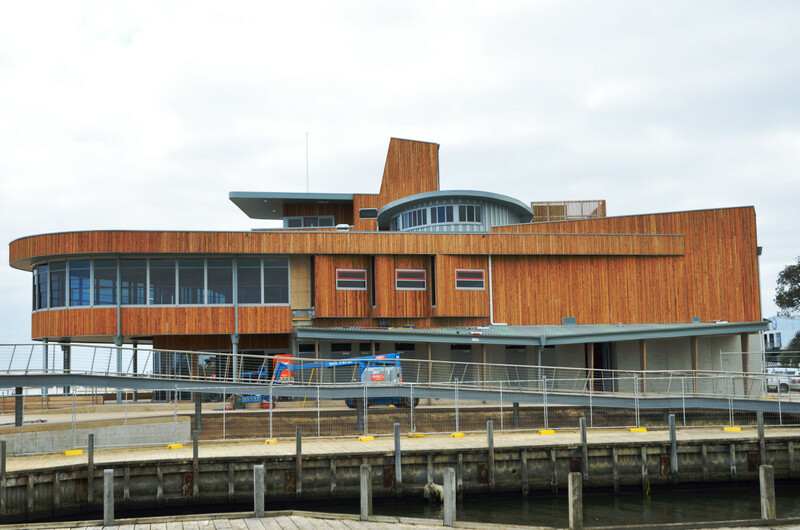 We had a client visit to make earlier this year, and along the way we called in to the Frankston Yacht Club which is due for completion around the middle of the year (2016). 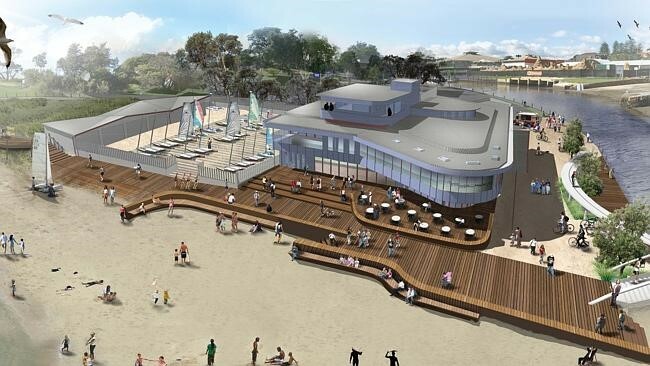 The facility will offer the local community and visitors a 164 seat restaurant, 104 seat café, public toilets, community space, function room, safety look out and Yacht Club facilities. 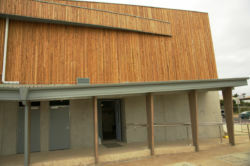 We were amazed at the timber that is being highlighted by the project. 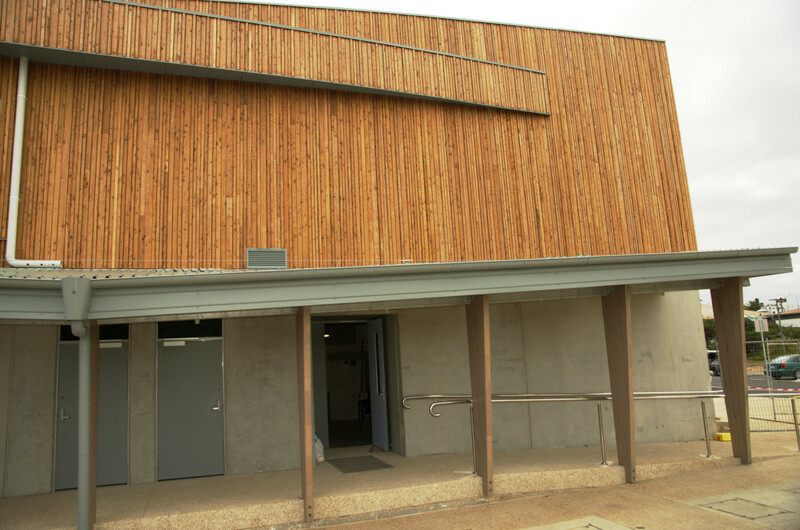 The building is clad in beautiful white cypress that looks very rugged but sharp at the same time. The shape of the building is obviously shaped after a cruise liner and we couldn’t help being drawn to look at the upper deck of the building that looks like the bridge of a ship. The captain’s outlook to the bay must be spectacular. On the lower deck, we were able to see the Glulam beams that we supplied for the project. The GL18 Vic Ash laminated beams have been cut to a taper and then they have been whitewashed. They have come up a treat. 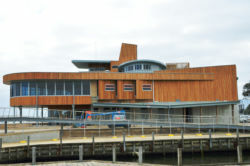 We look forward to seeing the project complete and being able to walk up close to the project and getting a coffee from the cafe. It will be a great place for the community to gather and the benefits will be ongoing for a long time. How do you curve a Glulam beam? 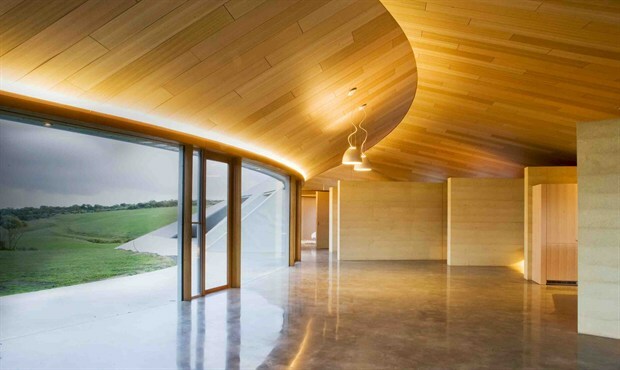 Curving Glulam timber is considered by some an art form. It takes planning and care to get it right. 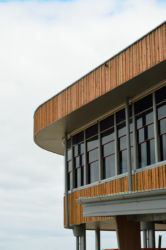 Glulam Timber can be curved to tight radiuses, not by heating or steam, but by reducing the thickness of the laminates. 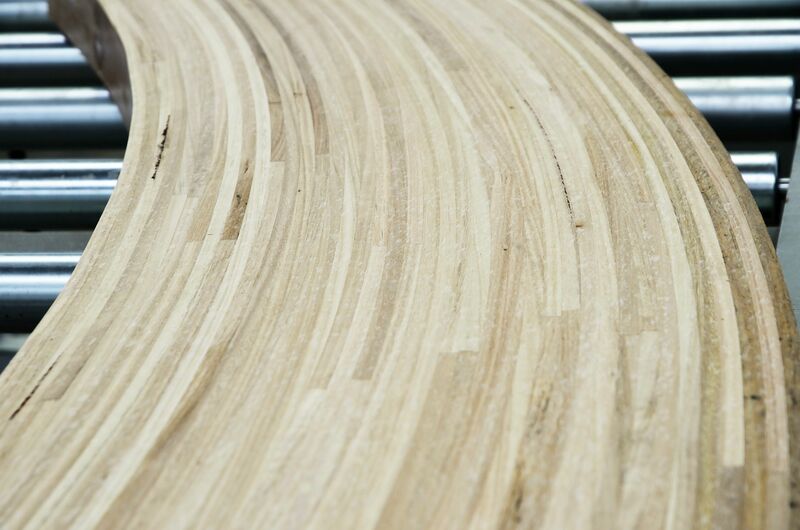 The tighter the radius, the more laminations that need to be used. 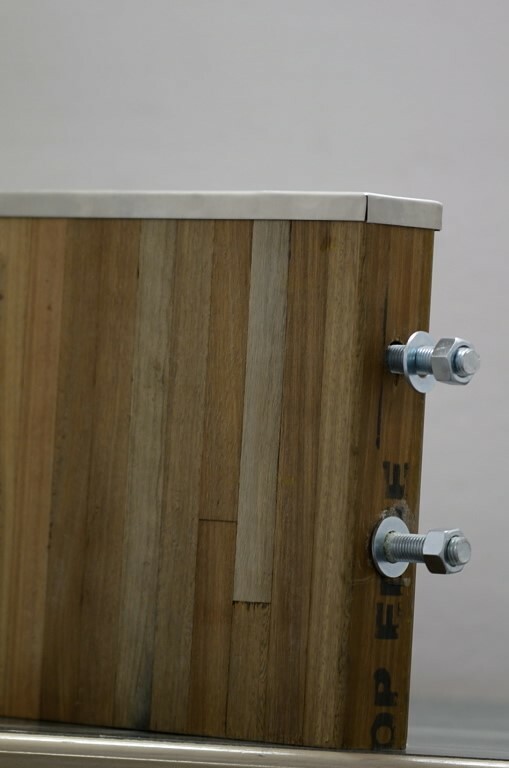 Once the glue is applied, the process is to put into the custom press and then clamped and pulled into position. Setting up the curved press is tricky as ‘spring back’ of timber needs to be taken into account. When the tension is released, the timber will try to revert to being straight. The glue stops this from happening. 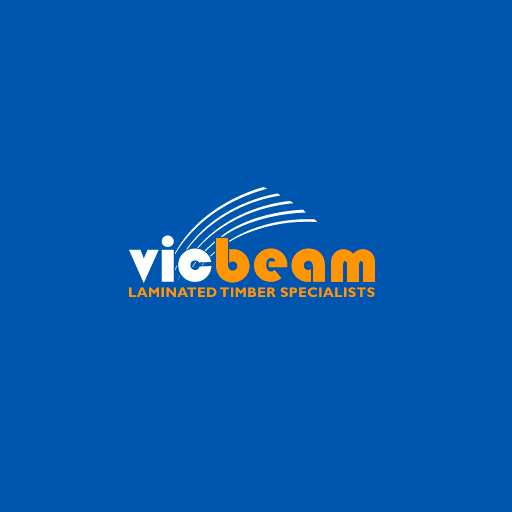 Here is a video of Vicbeam curving a beam with a radius of 1250m with laminations of 10mm. That’s 36 laminates to achieve 360mm. The year has started off with a bang here at Vicbeam with lots of changes. We took a time lapse of the move into the new factory and we look to post that soon. Infographics are used to convey complex information in a simple and easy to understand manner. 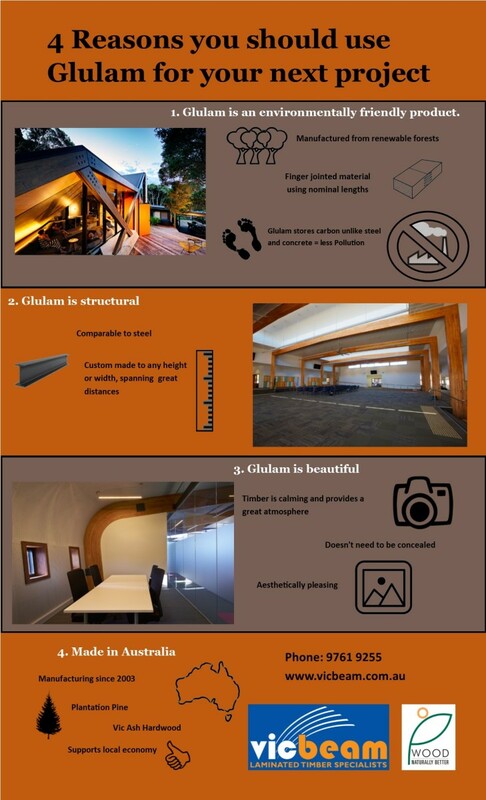 Here’s a infographic on why you should use Glulam in your next building project. If you want to discuss these reasons and others why don’t you give us a call. 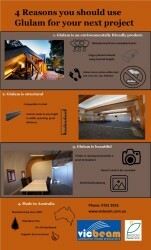 Vicbeam credits Unalam’s blog as inspiration for the infographic. Every now and then we get a project that really excites us. It excites because it takes something that is familiar and easy and puts a new twist on it and challenges us to think outside the square. 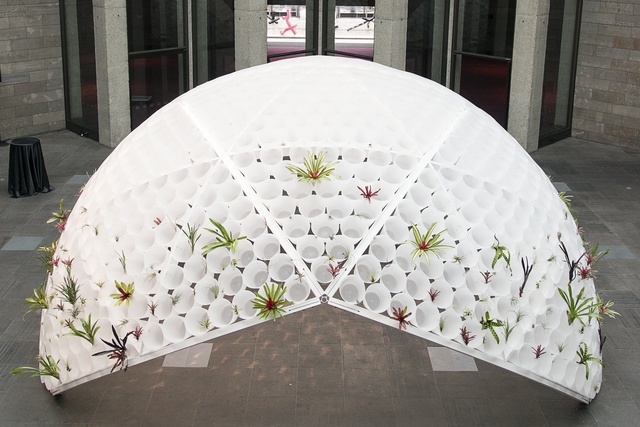 This is one such project that when we first saw the concept, we wondered whether it could be done and then when it was broken down and thought about, it’s simplicity became apparent. 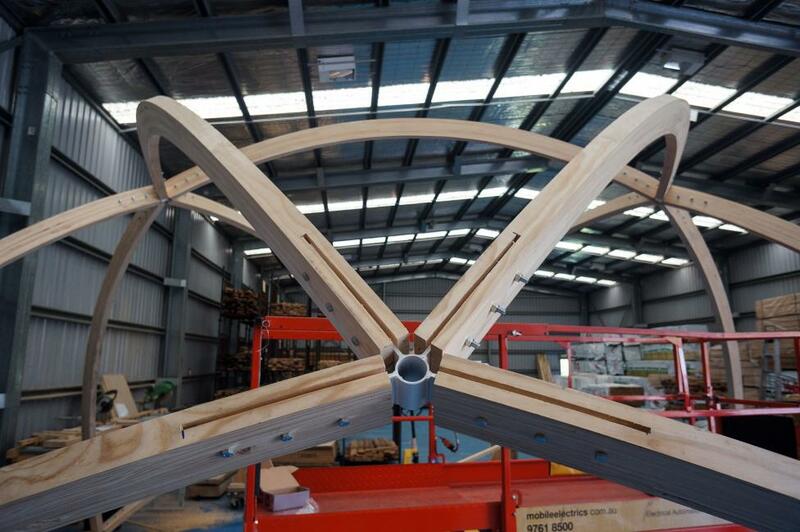 Rory Hyde contacted Vicbeam to manufacture a geodesic dome out of curved Glulam Pine beams. 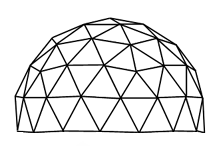 From Wikipedia – A geodesic dome is a spherical or partial-spherical shell structure or lattice shell based on a network of great circles (geodesics) on the surface of a sphere. The geodesics intersect to form triangular elements that have local triangular rigidity and also distribute the stress across the structure. Something that looks so complex and difficult is essentially very simple. 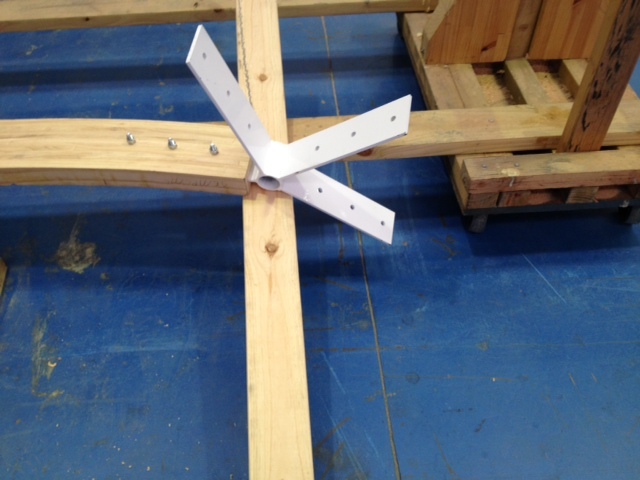 Vicbeam were asked to provide the basic structure that would hold all the other components in place. 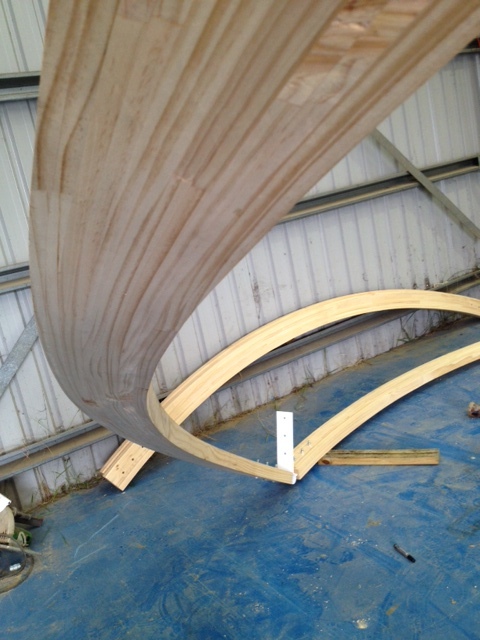 The glulam curved members were all made to the one radius and then machined to size, fabricated and then erected in our factory as per Rory’s request to make sure it all worked. 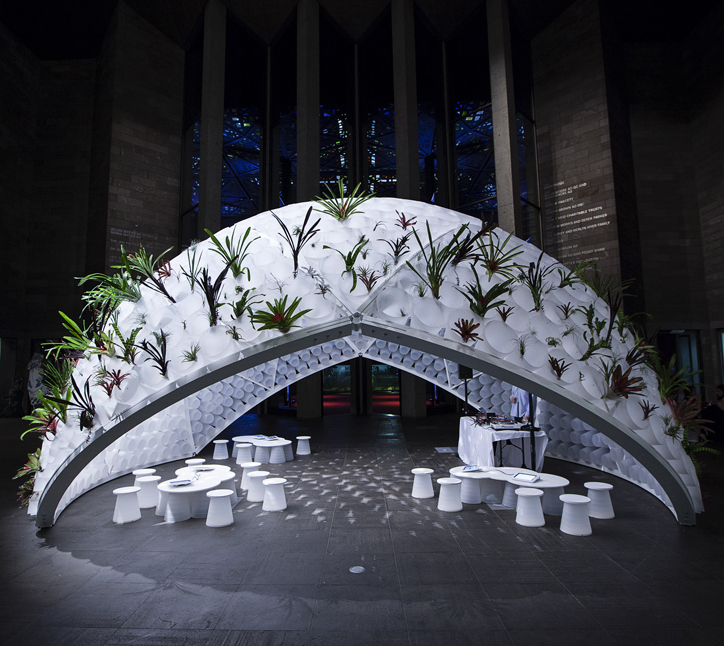 It was then dissembled and sent into the National gallery where it was again erected for the Melbourne Now exhibition.